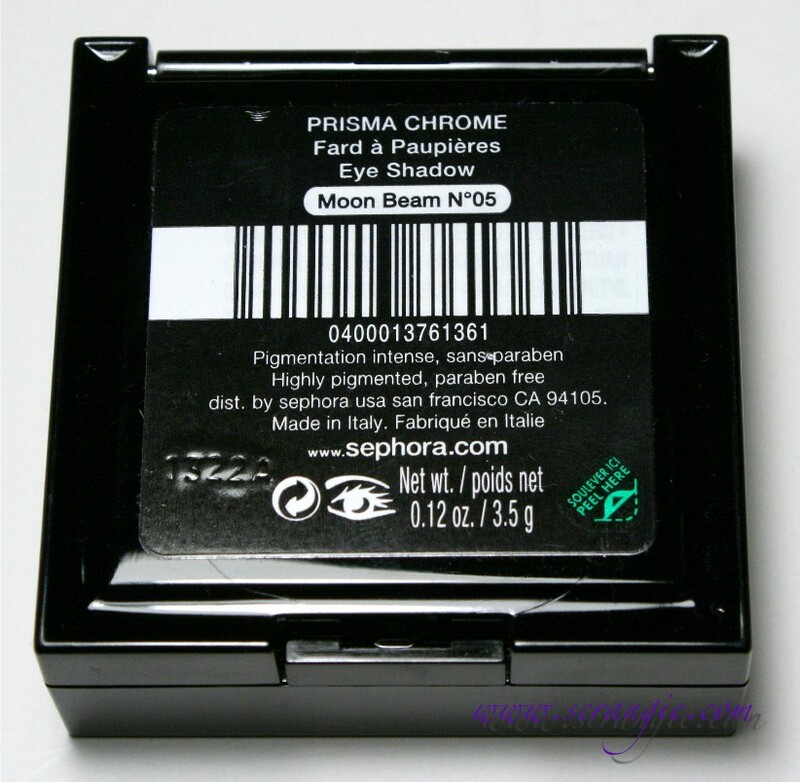 Have you seen these new Sephora Prisma Chrome eyeshadows? I noticed them on the website when I was browsing for new stuff and they really caught my eye. 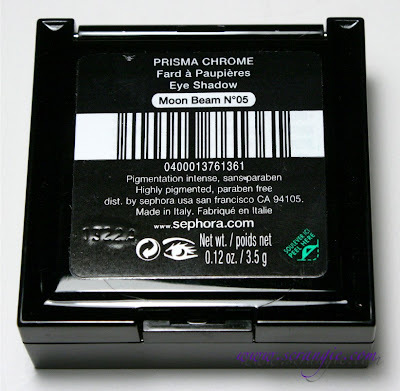 Partially because of the name (Prisma Chrome! Sounds iridescent and shiny!) and partially just because they looked cool and unusual. I picked the one called Moon Beam (described as "opalescent pink beige") because it seemed like it might be the most iridescent and when it arrived I was not disappointed. 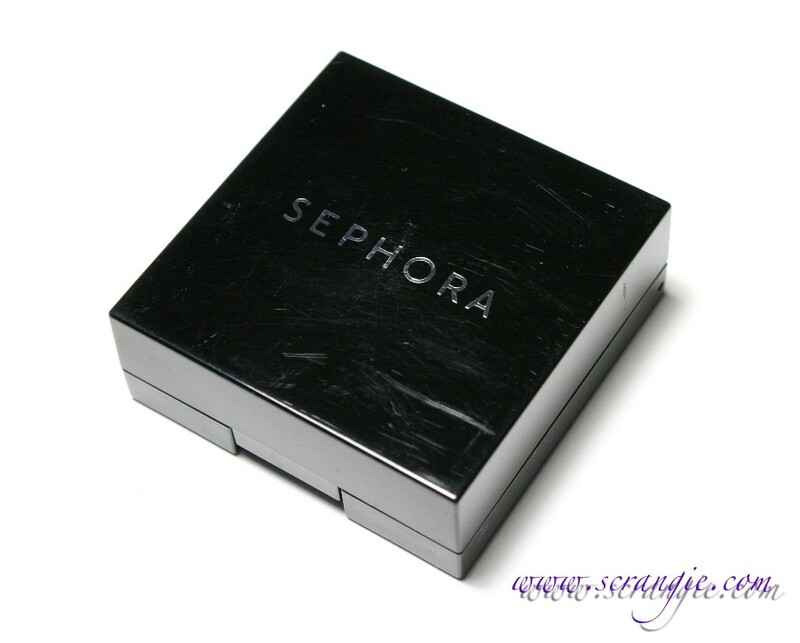 It comes in a pretty large black compact (2" x 2" x .75") and has its own mirror inside the lid. The back label. You have to peel it back for the ingredients list, but I couldn't get the sticker to stay flat enough to take a picture. The ingredients are: mica, cetearyl ethylhexanoate, HDI/Trimethylol hexyllactone crosspolymer, glycerin, squalane, octyldodecyl stearoyl stearate, polysorbate 80, ethylhexylglycerin, caprylyl glycol, 1,2-hexanediol, xanthan gum, chondrus crispus, pentaerythrityl tetra-DI-t-butyl hydroxyhydrocinnamate, silica, dicalcium phosphate, synthetic flourphlogopite. May contain: titanium dioxide, iron oxides, carmine, ultramarines, manganese violet, ferric ferrocyanide, ferric ammonium ferrocyanide, chromium oxide greens, chromium hydroxide green, blue 1 lake, yellow 5 lake. Is that gorgeous or what? 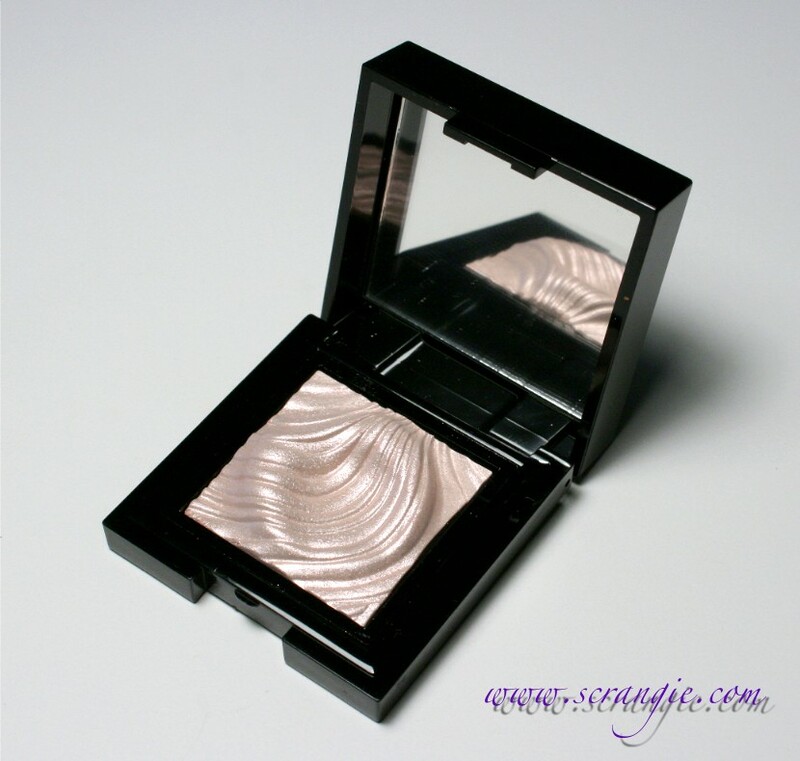 I've never owned an eyeshadow quite like this. It's not just all looks, either. It actually has some really good pigment to it. Here it is swatched (no primer) in fluorescent light, with flash, and with natural light. As always, click it to view more detail. 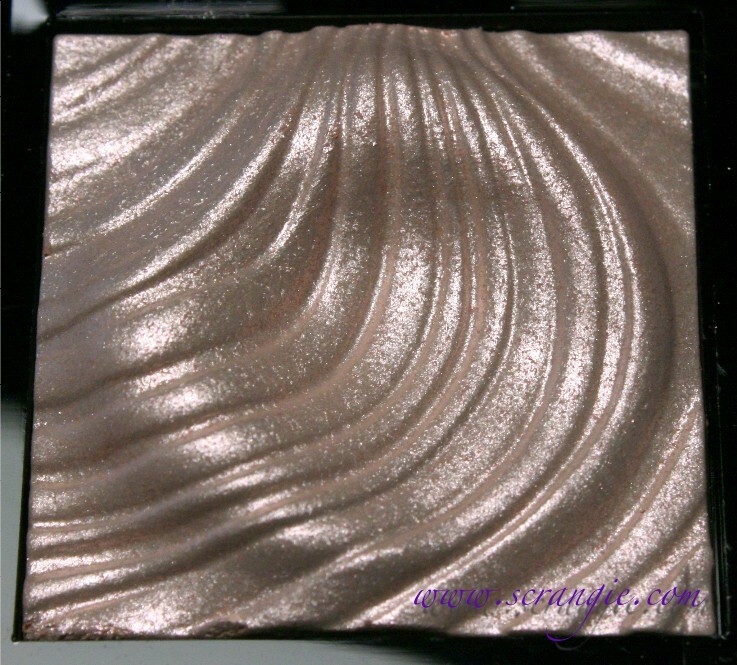 The color of Moon Beam is a light neutral beige base with a ton of shiny, sparkly pink metallic duochrome shimmer. Swatched on my arm, it does look truly duochrome because it shifts from beige to pink and at an extreme angle takes on a slightly green look. 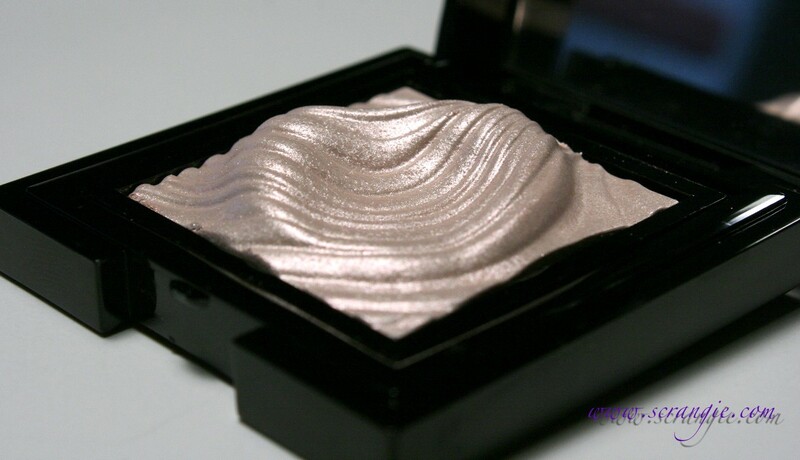 It has lots of little sparkling shimmer particles in it and it is highly iridescent. Looks like the inside of a seashell. I haven't used it on my eyes yet, but it swatched well on my arm, so I think it's going to work pretty well. It felt smooth, had plenty of pigment to it and didn't give me any sparkly fallout, so I'm really looking forward to trying out a few looks with it. Definitely one of the coolest looking shadows I have ever seen. It's on the pricey side for Sephora house brand ($15 for 0.12 oz) but I think this one was worth it. Kinda curious to check out the rest of the colors now. I was also really mesmerized by the shape! It felt so wrong to put my brush in it and ruin it! I have Bronze Brilliance and it glides on really nicely, and is very shimmery with more of a copper/orange-y tone to it, though, not "bronze". More like a penny than a bronze medal. There was a little fallout for me because at first I wasn't sure how much I'd need and packed too much onto my brush - turns out, very little! 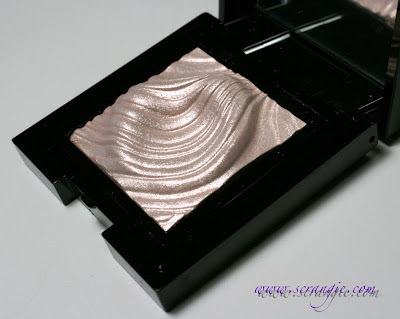 These shadows also blend pretty well with other colors with little effort so it's well worth the price compared to Sephora brand's original eyeshadows, imo. Oh, I love the look of it!!! I want it!! Thanks!!! Oh, wow. What a beauty)))) I want it!! And it looks like a really pretty colour as well. Can I make a tiny request as well)))) Could you make a post about the way you take pictures, lighting and stuff. Because your pictures are always so crisp and professional looking! I saw these in the store and poked at a couple of them, but I completely overlooked this shade! What a beauty, I could see this becoming a staple in my collection very easily. The blue one is gorg! A Sephora MA said that you need to be careful with these because they can break easily. I really like the three dimensional pans! When I first saw them in person at Sephora, I thought they were cream products and that some awful person had stuck their finger in them and had squished them into weird shapes. It wasn't until I examined them closely that I realized how wicked awesome they were! I swatched the green shade on my arm and was impressed by the color payoff. I think these may be a hit for the Sephora brand. I bought a bunch of these and I adore them. The only sort of downfall is that they are fragile. I ordered Moon Beam and it came in completely separated from the case, I had to call around to find a Sephora that had one. Even then, the associate shook a few of them to find one that WASN'T broken and mentioned how they'd been getting a lot of exchanges on those because of that. They are a bit pricey for the house brand, as you mentioned, but the quality is definitely there so I don't mind the price tag at all. I loved the display of these at Sephora. They all swatched incredibly :) They do have a really weird pattern/design though haha. Oooh, I like the shape, reminds of the EL ones! 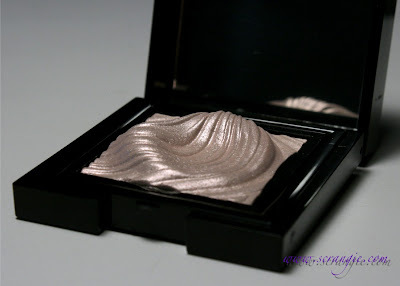 Gorgeous, but I must say, it's an exact twin of the eyeshadows sold by an Italian cosmetics brand named KIKO. They're called "water eyeshadow" and you can see them here or just Google them. I own a few and the color payoff really is very good. Since these Sephora eyeshadows are also made in Italy, I highly suspect they come from the same factory! This is such a pretty shade, and wow, the presentation for this is very unique. I love how it's not just flat! I got one of those multi-fold brochures from Sephora just last night about these. They've got some really pretty colors. Besides being made in Italy it does remind me a lot of a certain Kiko LE. This looks really cool. The design is amazing. I hope you do a makeup look with this soon. I love the design of this, might have to pick this one up!